Blog - Pixel Edge Design Studio: What is consisted of an excellent exhibition stall designing? Moreover, than exhibiting products, the exhibition stall as a place is used for showcasing latest products, services, study business trends and activities occurring in the specific trade show and exposition. To achieve the marketing and business goals of a company at a trade show, the role of a professional exhibition stall designing company is very imperative delivering to personalize services to a client’s business needs. 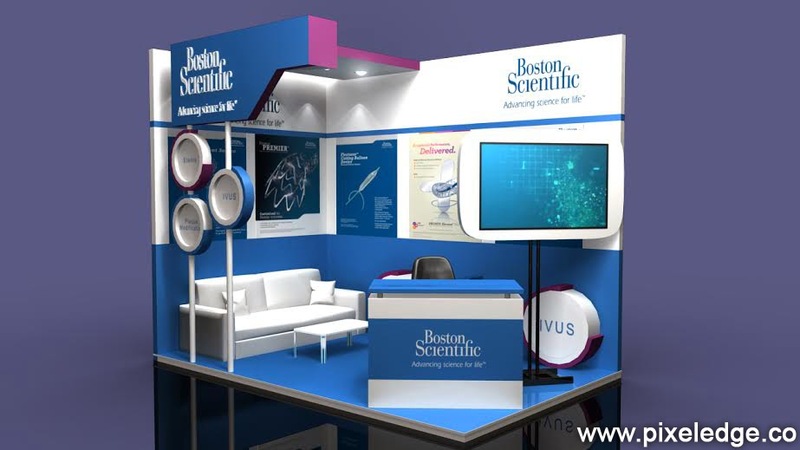 A present day elegant exhibition stall designing company provides an entire range of exhibition and stall services ranging from 3D designing to quality fabrication. The agency providing entire activities of Exhibition Management Services has following service set and activities. Conceptualization: An exhibition stall begins from its thematic design, concept presentation and revisions, floor plan design and layout according to the inputs received from the client. Additionally, it applies thematic design and campaign ideas to other exhibit material as signage, headers, hostess, brochure stand, furniture, plasma, sound equipment's and other marketing collateral to be showcased at the exhibition stall. Project Management: The other level of exhibition and stall services provide by the client includes show coordination with the client, the show organizer and the PR agency. Hiring of other subcontractors like, food & beverages caterer, multimedia supplier, manpower supplier, entertainment and other company promotions, etc., comes under the activities of stall designer. Show Fabrication, Installation and Dismantling: On the client expectation and requirements, layout presentation of the print material to final output is done. Other construction activities like fabrication and carpentry as well is provided by the agency while taking care of activities as dismantling & packing. Hence, a good exhibition designing agency take care of complete exhibition needs of its clients to get their branding and promotion goal to a full and complete realization.